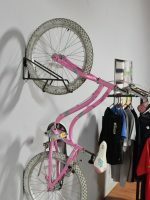 5-bike has 3 bikes on bottom tier, 2 bikes on second tier. 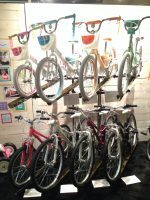 6-bike has 3 bikes on bottom tier, 3 bikes on second tier. 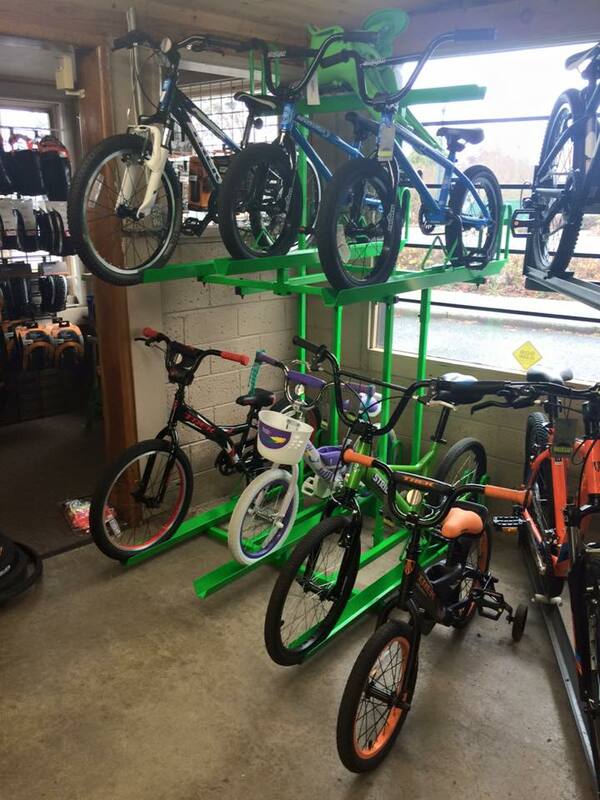 Dimensions do not include 3rd tier crown display. 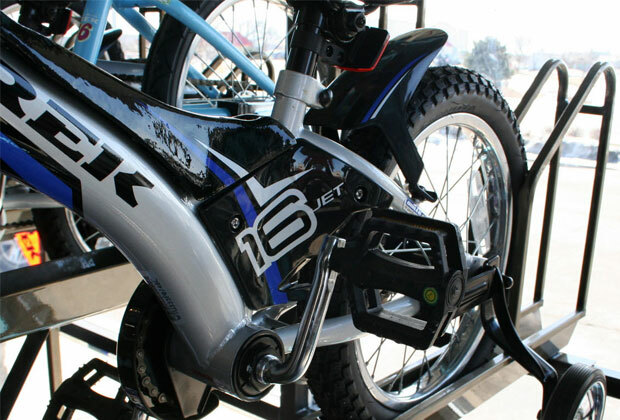 ***Please allow extra space on either side of the rack for handlebars. 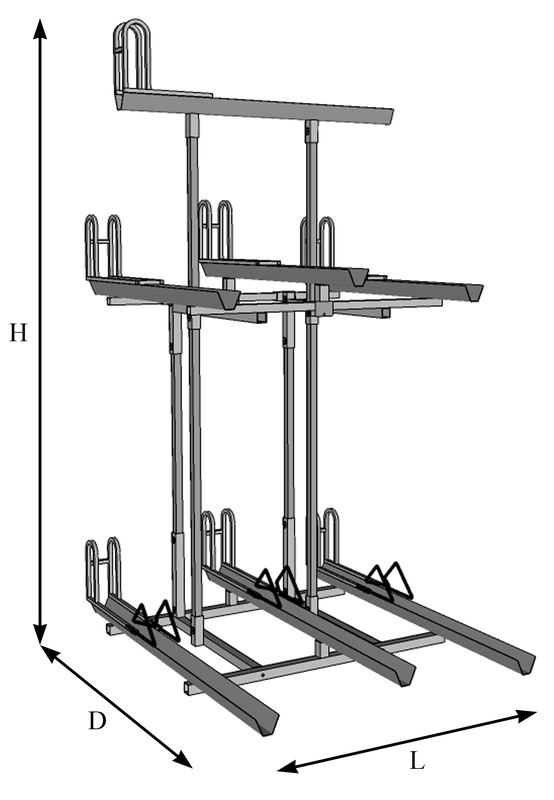 Measurements are the footprint of the rack only. 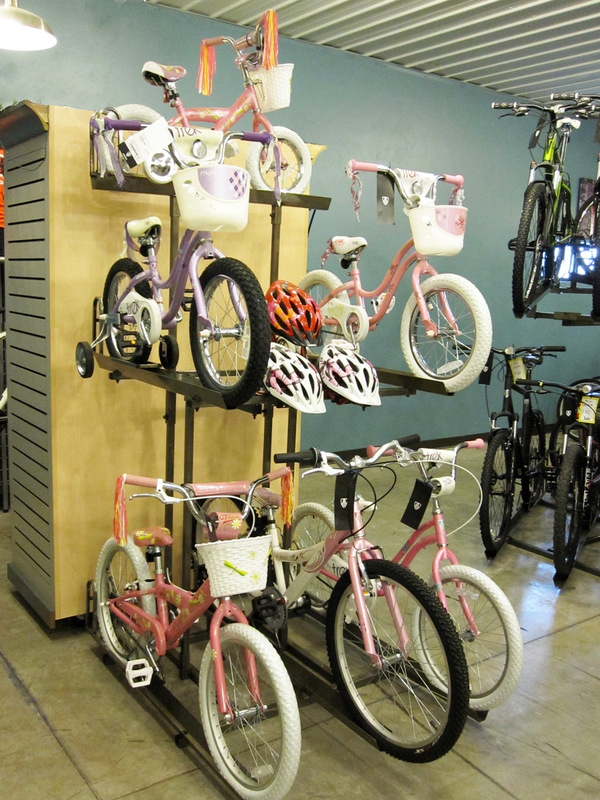 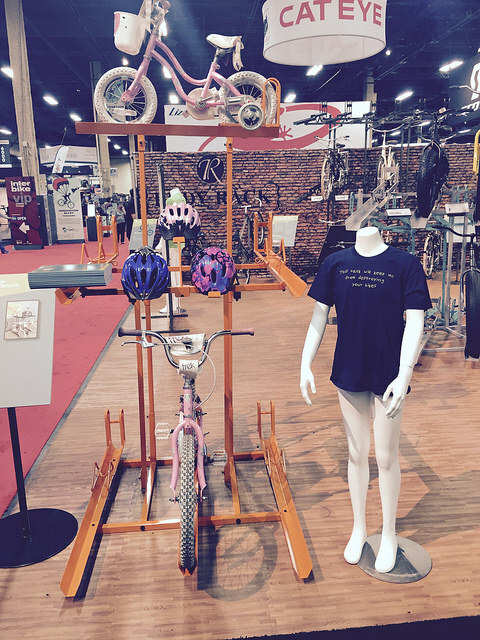 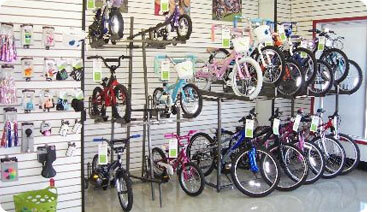 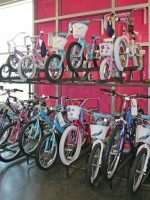 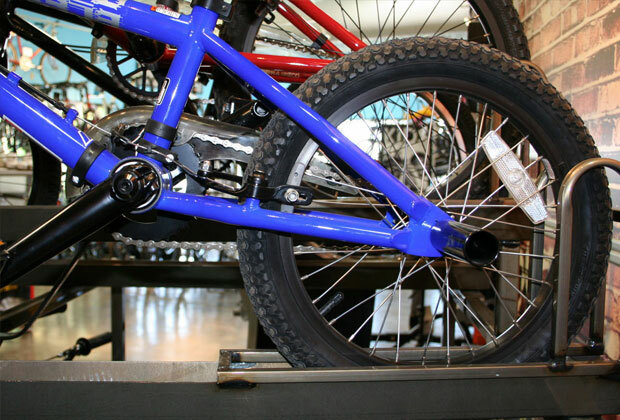 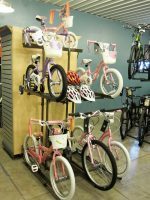 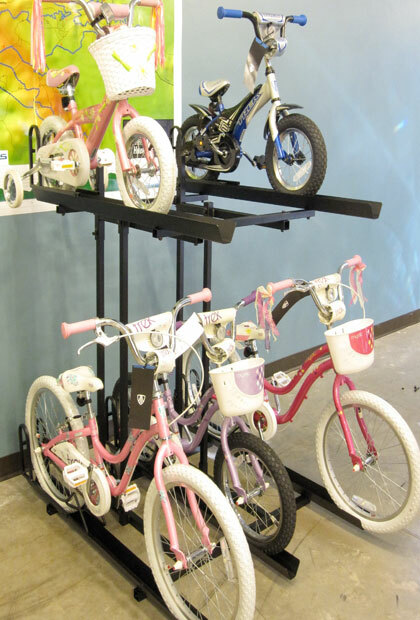 Allow 8’3″ ceilings for any 3-tiered kids racks.